RHS Chelsea Flower Show "Heading West! " 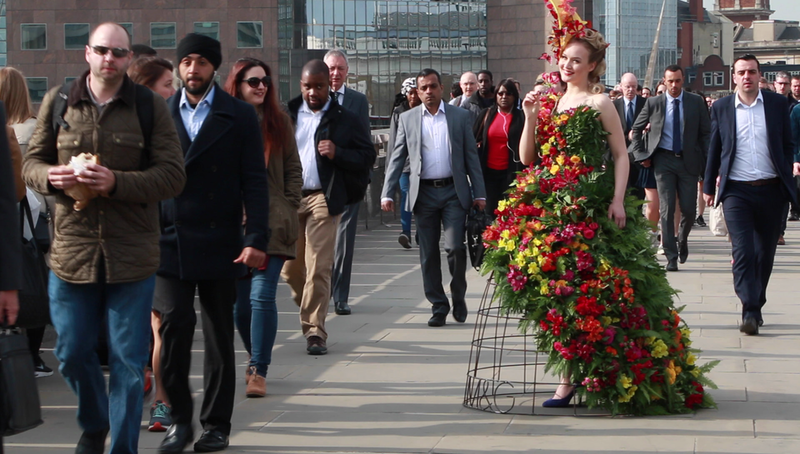 on the road to Chelsea Flower Show "The Dress!" Second consecutive year!! We are really happy to be asked again to create a short film to be shown by M&G Investments title sponsor of the RHS Chelsea Flower Show. 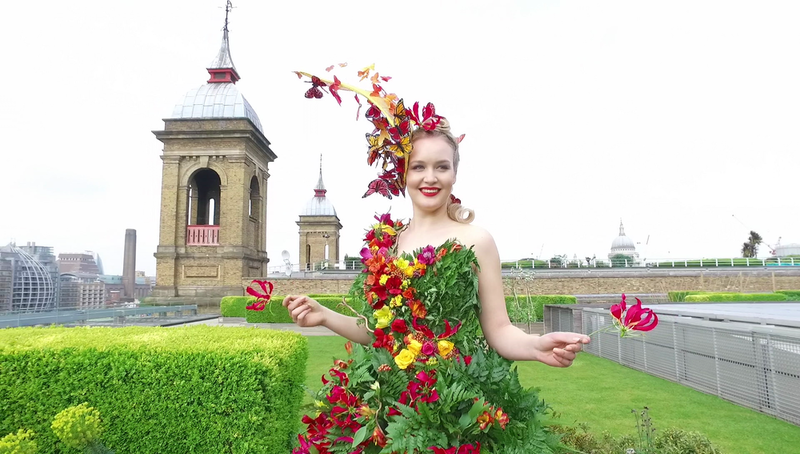 The astonishing Dress has been commissioned to highlight and celebrate the 7th consecutive year as title sponsors of the RHS Chelsea Flower Show, the Dress has been created by renowned Floristry Artist Larry Walshe. 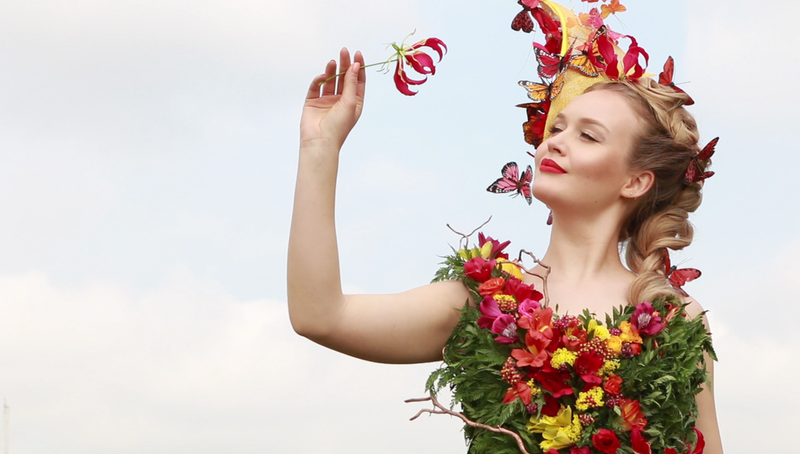 Larry Walshe Floral Design are the only Florist to be asked twice to create a dress for the Multi- Award winning garden designer Cleve West the title of the design "Heading West" on the road to Chelsea Flower Show. The Dress has been inspired to complement the garden which theme is Ancient-Woodland themed retreat. Over 1,800 mixed fern leaves and 460 flowers entwined with willow have been used to create this dress. Urban Cinematography have been inspired by Larry Walshe and his beautiful ideas and woodland theme. We are very proud to be involved for the second year running and hope that you love the film as much as we enjoyed making it and highlighting the amazing talent involved in such a beautiful and iconic project.